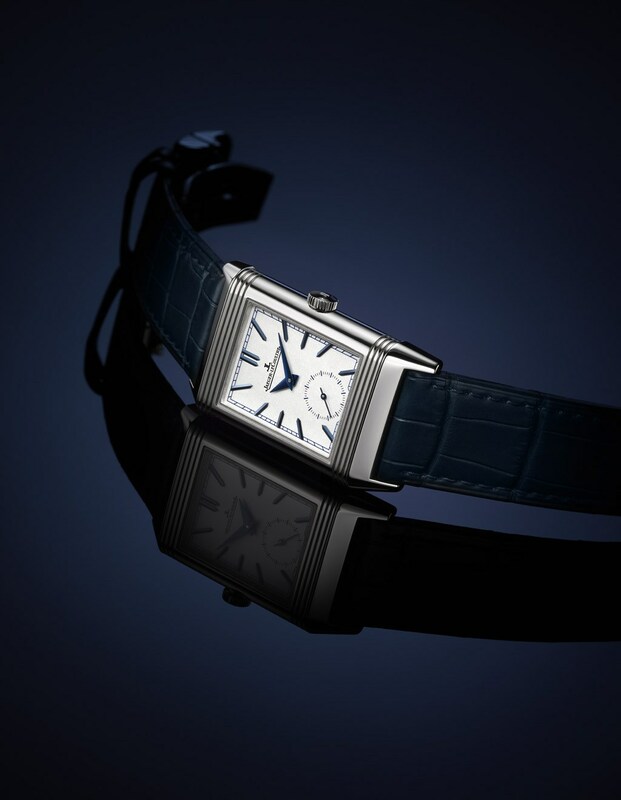 JLC celebrates it's iconic model Reverso's 85th anniversary by releasing five new models for the product line varying from time only base model to the dual face triple calendar. Initially designed for British soldiers in India to use while playing polo with a reversing case to cover up the crystal, the JLC Reverso celebrates in 85th year in 2016. This important occasion is marked with the introduction of five new models for the famous product line which will be officially released within SIHH 2016. 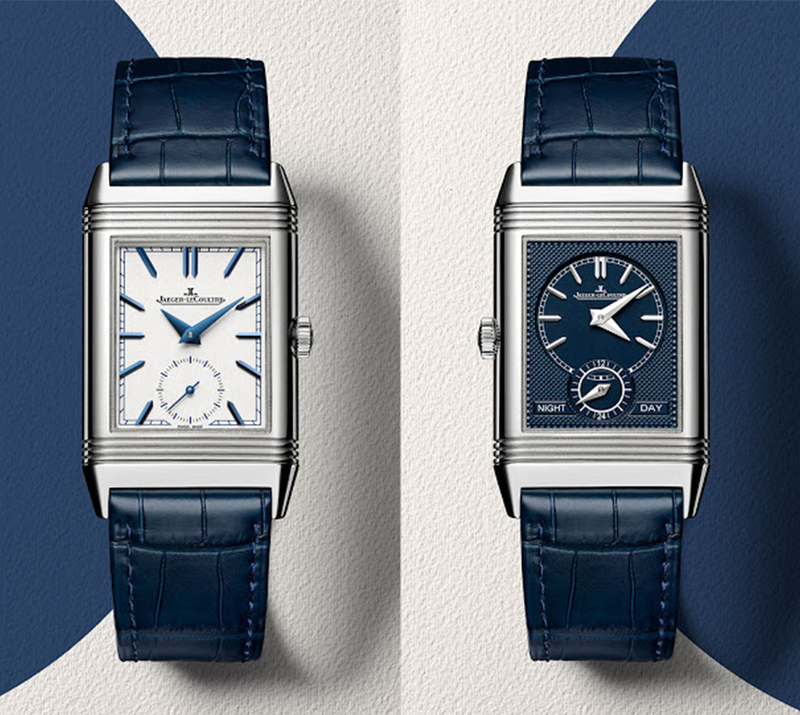 The models are Reverso Classic ( in three different sizes ), Reverso Duo and Reverso Tribute Calendar featuring the new movement Caliber Ref. 853. 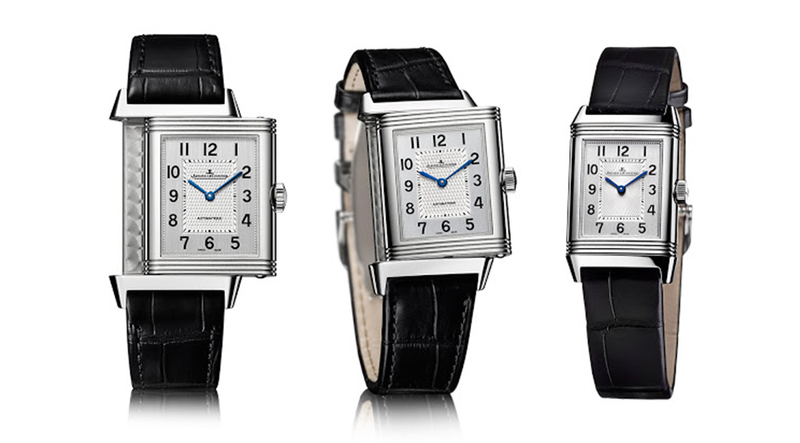 The most basic version for the product line, Reverso Classic is available in small, medium and large sizes. Both models feature the time only design similar to early versions. As the name speaks for itself, the Duo model sports the most useful feature of the model with twin time zones on both faces. Powered up by the automatic Caliber Ref. 969, the Duo shows time with a 24h display on the front and local time at the back side. Unlike the previous versions, this is the first Duo model with an automatic caliber as the older ones has manual winding movements. The 28.3mm diameter case has a length of 47mm and it is available in 18K pink gold or stainless steel. 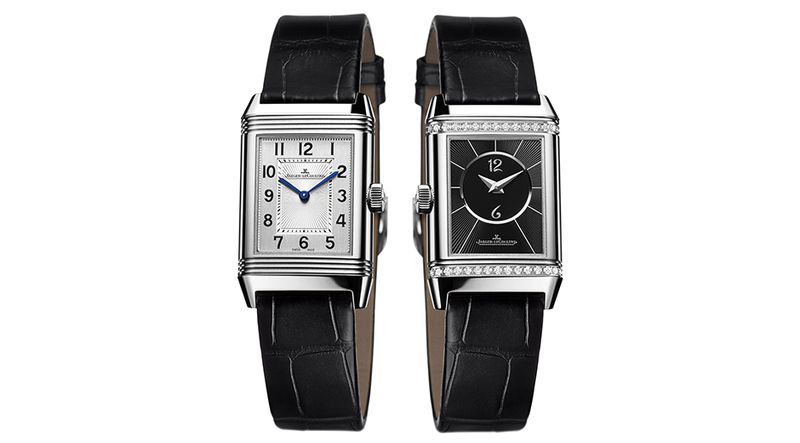 Being considered as a perfect ladies watch as well, Reverso line welcomes a pair of ladies models. Offered in small size with a manual winding caliber and medium size with an automatic caliber, both versions are available in stainless steel or 18K pink gold with an option of a matching material bracelet. Inspired by the early generation Reversos with the dauphine style hands and baton markers which is a rare combination for Reverso, the Tribute Duo sports a manual winding movement with dual time zone complication. The Caliber Ref. 854A/2 shows the local time on the front dial and the home time on the back dial along with a 24h indicator. 25.5mm wide and 42.8mm long case is offered in stainless steel only which a tad smaller than the Classic Duo Large. 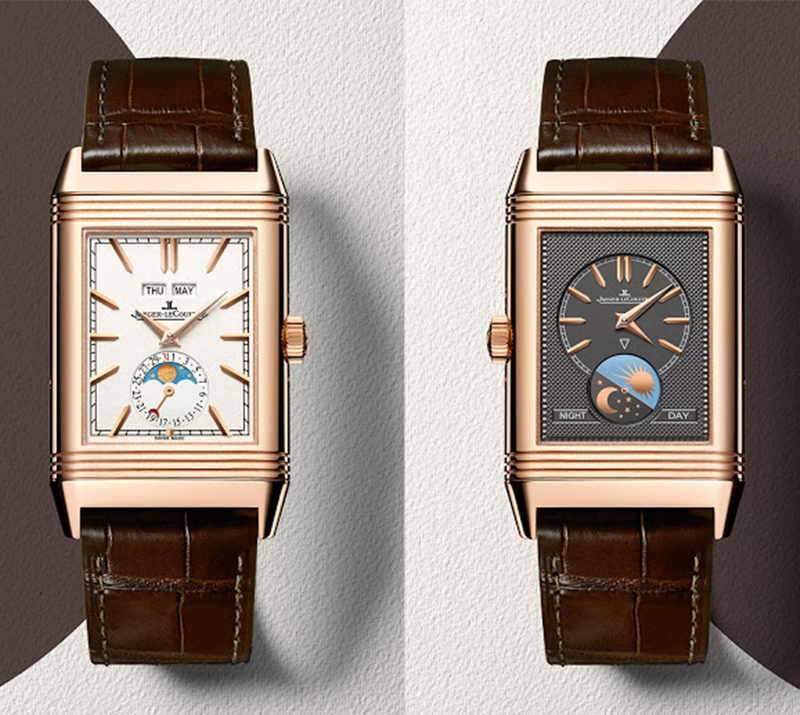 Being the new line-up's most complicated model, the Reverso Tribute Calendar features dual time zone and triple calendar functions at the same time. The front side silver dial show local time along day, date, month displays. There is also a moon phase indicator located at 6 o'clock position. The reverse dial shows the home time along with a day and night display. 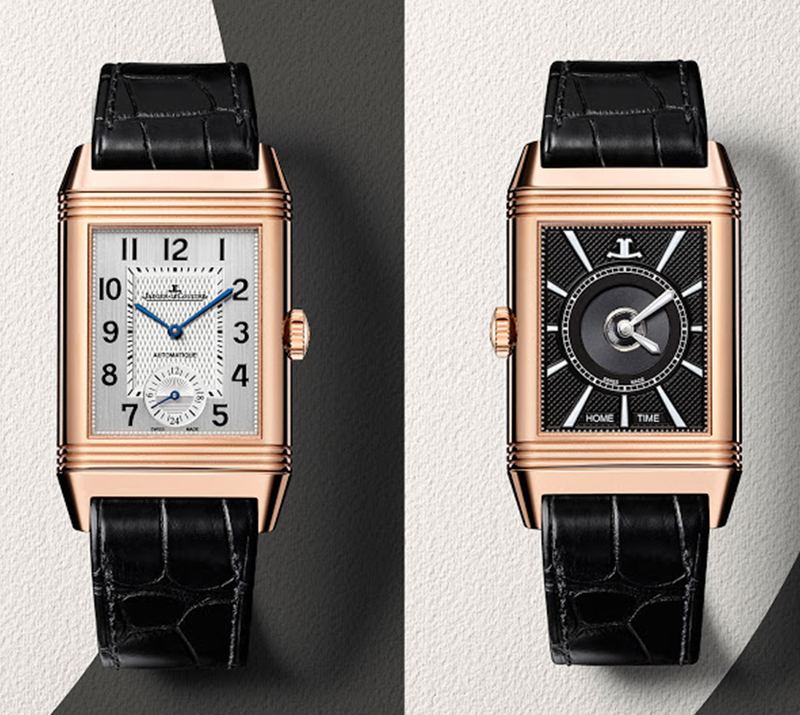 Reverso Tribute Calendar sports the brand new Caliber Ref. 853. The manual winding movement offers 45h power reserve when fully wound. Being the largest version of the new line-up, the 49.4mm x 29.9mm case is offered in 18K pink gold only. Prices are not announced yet.